A great place for a unique holiday experience in Rome! 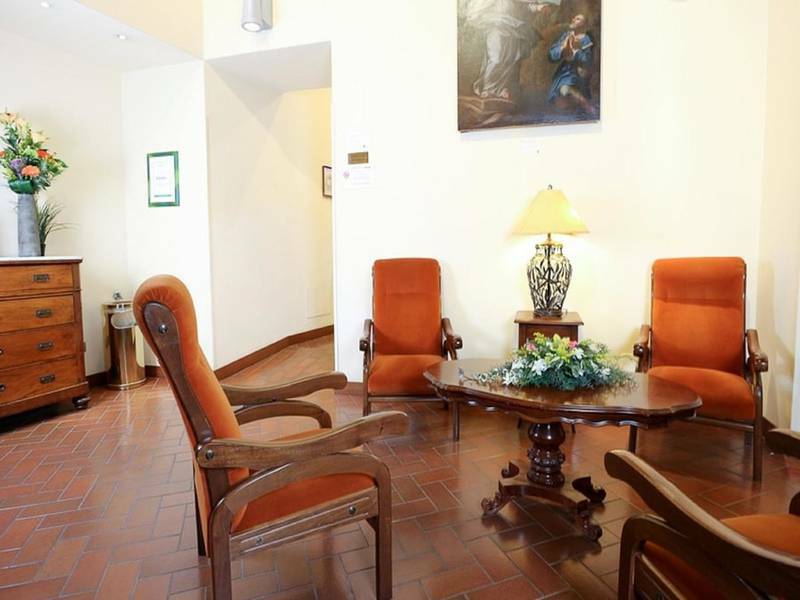 Welcome to the Casa di Santa Francesca Romana in the heart of Rome. The Trastevere district, known for its lively ambience and authenticity, numerous traditional cafes and restaurants. 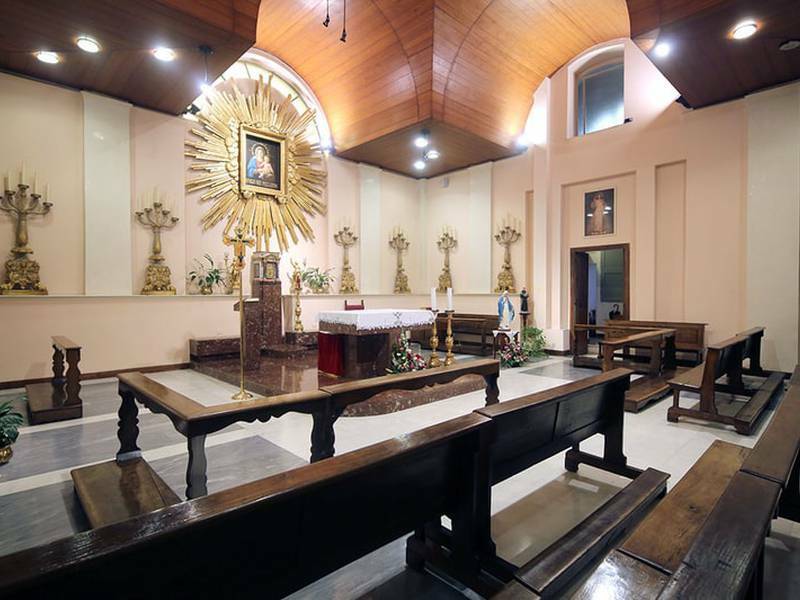 Also find here and an enchanting cloister, which welcomes all travellers after a long day of sightseeing. The hotel itself exudes charm and history, once a medieval palace, the echoes of the past can be felt in each of the 37 beautiful rooms, which offer guests every service they could need. Discover one of the world's best loved cities and find relaxation, peace and quiet like you could not imagine from a hotel in the centre of Rome. These comfortable rooms with traditional decoration, warm ambiance and functional furniture guarantee you the relax you need. A great place for a unique holiday experience in Rome. Each room includes: private bathroom complete with shower and complimentary toiletries, central heating and air conditioning, free Wi-Fi, satellite TV, among other services. Our hotel will keep you up to date with the outside world while you explore the history of this enchanting city. The 3 Superior Single Rooms are unbeatable places to stay for those travelling alone, thanks to the wide range of amenities available. The Superior Single Rooms boast a French bed or a private balcony. Perfect for guests travelling alone, the Standard Single Rooms offer all amenities needed for a comfortable stay. Featuring restored authentic tile flooring, you can experience the history of Rome from the comfort of your Superior Double or Twin Rooms. These elegantly decorated rooms are 14m2 so perfect for 1 or 2 guests. The standard double or twin rooms are perfect for those travellers wanting a little extra space. The restored and elegant Junior Suite Double or the Twin Room Cloister View offers stunning views of the original cloister. For groups of 3 or small families the standard triple room is a great choice when staying in the Trastevere neighbourhood. These rooms offer space and all the necessary services. Make your stay in Italy’s capital unbeatable! Here in Trastevere there is no accommodation better for those travelling in groups of 3 or small families than the Superior Triple Room. The restored Junior Suite Triple Room Cloister View offers something that cannot be found anywhere else: a spacious room with stunning views over the historic Cloister in the Trastevere. The largest rooms offer you comfort and relaxation, fully equipped, you will certainly appreciate, after a day of sightseeing. This room offers groups of up to 4 people the perfect accommodation. Take a tour and see exactly what awaits you during your holiday in Rome. Check out the selection of high quality images and book your stay at our holiday's house with confidence. 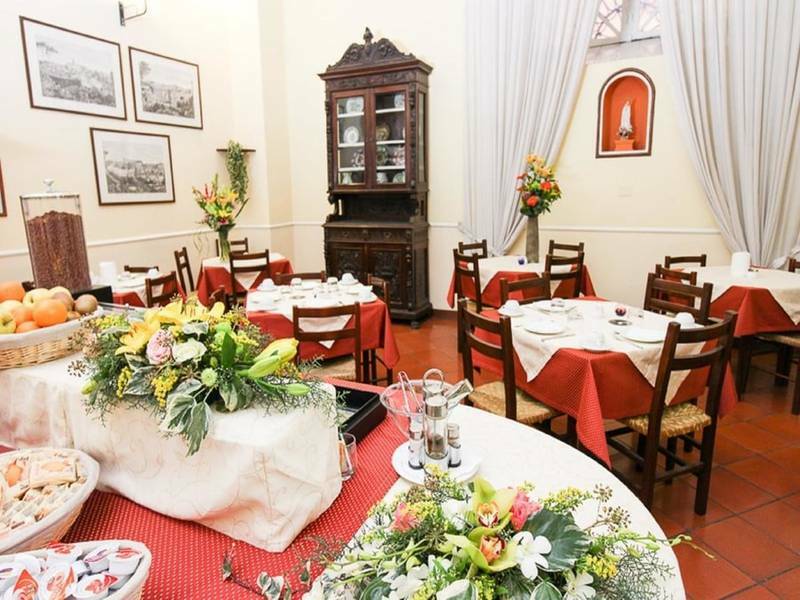 When wishing to book a holiday in Rome it can be difficult to find competitive prices but not at the Casa di Santa Francesca Romana. Here in the heart of Rome you can find the best deals and offers. Check our selection of promotions and deals and book your holiday at the best price. It is important for all guests to enjoy all the home comforts during their holiday and with all the services and amenities available at the Casa di Santa Francesca Romana you can't help but feel at home. We offer a 24hr reception, tourist information, transfer service, continental breakfast, WI-FI, TV and meeting rooms. Located in the Trastevere neighbourhood, the Casa di Santa Francesca Romana boasts an unbeatable location near a number of lively bars and restaurants. Explore many famous sights and landmarks found nearby including St. Peters, the Colosseum, the Spanish Steps, Piazza Navona and many more. This historic hotel is also conveniently reached by bus, train and tram. Via dei Vascellari 61 Rome, Italy. Our friendly staff are always available to answer any queries you have about your stay at the Casa di Santa Francesca Romana in Rome, so get in touch via telephone or email.